Retro-Spekt 80s Party @ The Globe – Double Pass Giveaway! Retro-Spekt returns to the Globe! Two great rooms of entertainment! 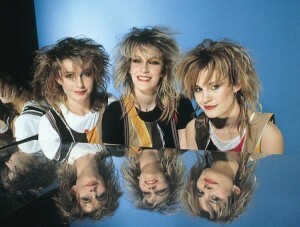 PLUS the cinema will be screening a collection of your favourite 80s film clips! Note: Winners will be notified by email on the morning of Saturday the 19th March 2011. On Sunday, 1 May, 2011, Australia’s hottest rock acts will take over Caboolture on Brisbane’s northern outskirts in a massive six hour concert event. Aria-nominated superstars Evermore – best known for their smash hits Hey Boys and Girls, Light Surrounding You and It’s Too Late (Ride On) – headline an all star lineup including The Potbelleez, Thirsty Merc, Amy Meredith and local star Sinead Burgess. Globe Theatre Cinema Re-Launch & Rock Film Evening Ticket Giveaway! The GLOBE THEATRE CINEMA Re-Launch! Globe Theatre cinema re-launches with an evening of 1970s rock films and cult oddities… Rolling Stones’ infamous Gimme Shelter, Dark Side of the Rainbow (a must for Pink Floyd fans) and David Bowie’s concert film Ziggy Stardust & The Spiders From Mars. Come dressed in your 70s gear! Note: Weekly winners will be notified by email on Saturday the 5th February 2011 after 6pm. 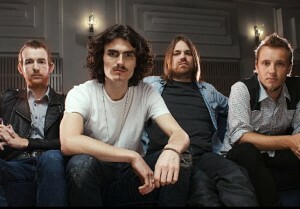 Thirsty Merc takes new single Tommy & Krista to the road for a second round of Australian shows this October/November. Have you heard the one about the Spiegeltent? A girl and a guy walk into this travelling bar – a pointy topped sphere shaped by mirrors, wood and glass. Golden poles, blood red velvet curtains swooping overhead, low lighting and dancing shadows. Smoky. Drinks service on the curve, booths hugging the circumference. A big-top boudoir with an audience. The girl and the guy start out cautious in this ringmaster’s playground. They clamber carefully onto the high wire – wobble and steady, wobble and steady. She wears a pair of lasciviously red heels as she teeters. The shoes return sporadically throughout the acts, as do the scene setting ukulele and tinkling pianola. 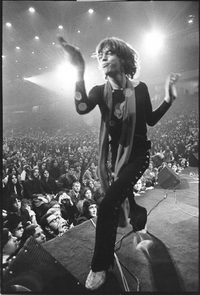 Music through out invokes alternately past, present and future – offered in no particular order. Subject to whims and acrobatics, time periods depart and return often.